My Expand-Banners don’t have a transparent background. 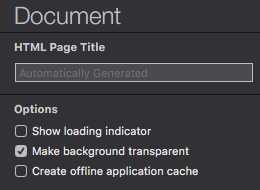 There is the Document options to make the background-color; transparent. But as soon as I export my document is Transparent, but the Divs generated from the Hype-library.js have a white background-color again. This is something I do not want. See the example link in this post. It must be something simple, but I am overlooking it. 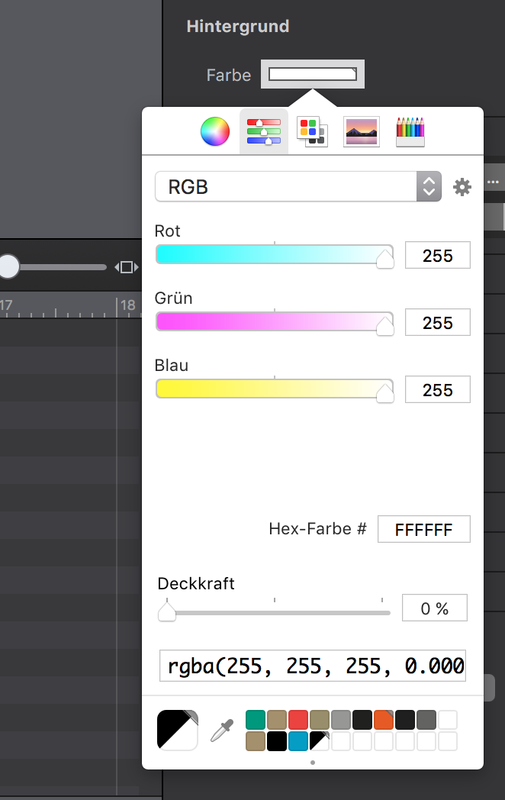 Second problem ist: Wenn I set the scene Background color to be rgba it automaticly changes back to rgb. Thus losing it’s transparency. That is not really how it should work. Scene background color transparency wasn’t really supported, and it was a bug that the color picker panel showed the alpha value. This has been removed in Hype v3.6+. So if I understand this correctly I will not be able to have transparent backgrounds anymore? That would be a sad thing. Because it did work, but only in a buggy way. 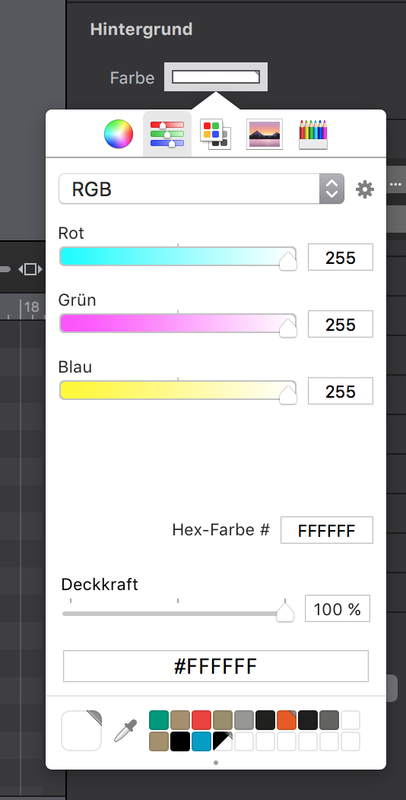 Though to clarify the “Make background transparent” option works just fine, this is only about scene background color values; depending on your document, you may want to use this option. It may also be possible to use CSS to override the scene background color. Open up the hype_generated_script.js file. Open your html file in a browser to see the result. Light a cigar and pour your self a drink…and you’re done. Or just add the css to the head.? What would the selector be for the scene? I needed to use the scene as an element to be dropped into an app by another Dev team so I wanted to work with no html file or additional css. I was going to chime in about this, but as you replied right below my post with this line I figured you had different needs! Note that this is just for the scenes; there are some cases where folks have needed the HTML itself to be transparent (say embedding into another app) and that would require body CSS.